These ads drive me mad. 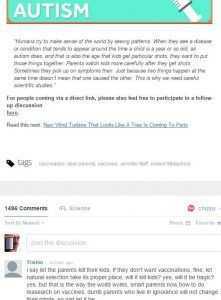 I read a seemingly well-written and researched article, reach these ads and generally lower my opinion of the article, the author and the site. I’ve blocked them now. The only good thing about them is that they were a good indicator of a site that is pushing to make money in any way possible which, in my mind, indicates poor ethics. 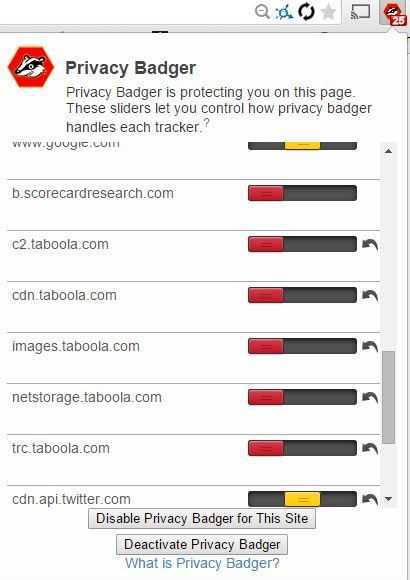 I use the Privacy Badger plugin on Chrome to keep tabs on trackers, auto-block in some cases and to manually block scripts if needed. 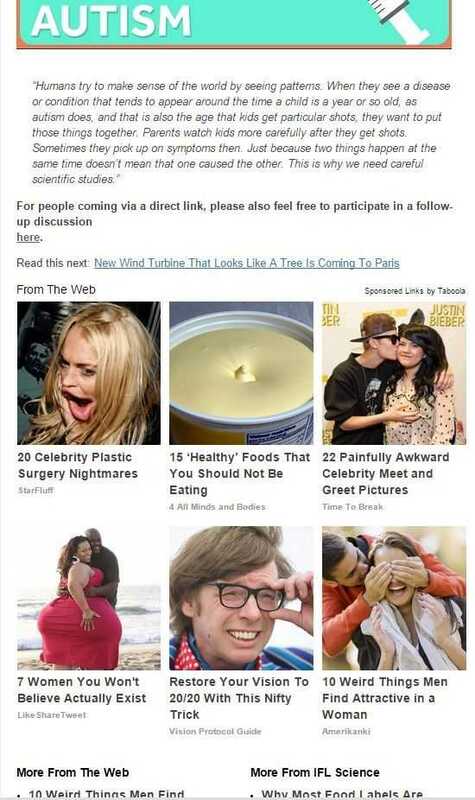 It’s simple to block Taboola. 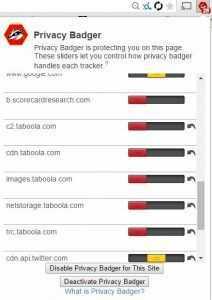 Here’s an example of a site that used it, before and after applying the Privacy Badger block. 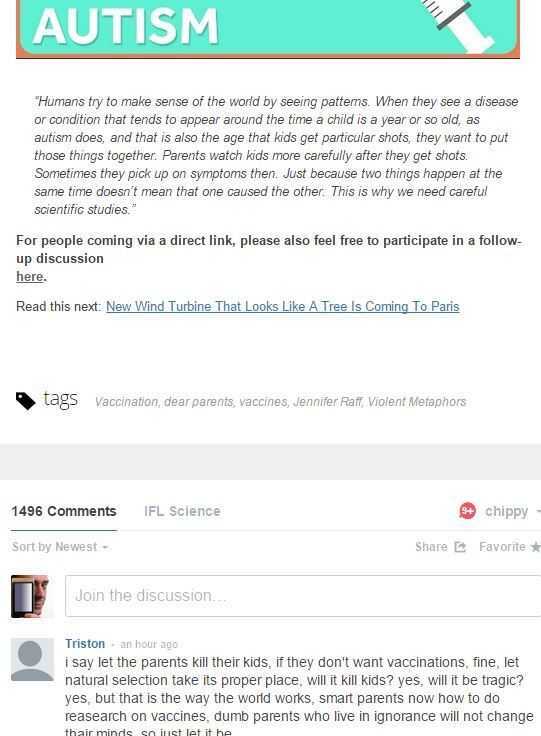 More information on how to do this is below. 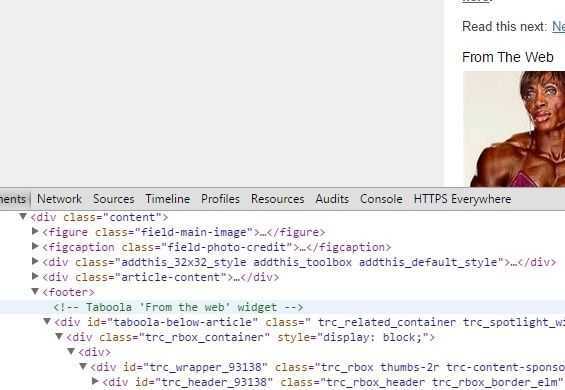 How did I find out that Taboola was being used? 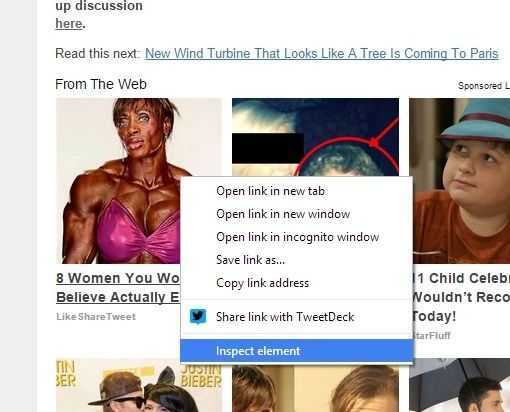 I used the Chrome ‘Inspect Element’ feature which you can use in any case of unwanted content that is added via script. Find the name of the script or the domain name used. If we all block these then they tend to zero revenue generation and they’ll eventually be dropped from websites. We hope!